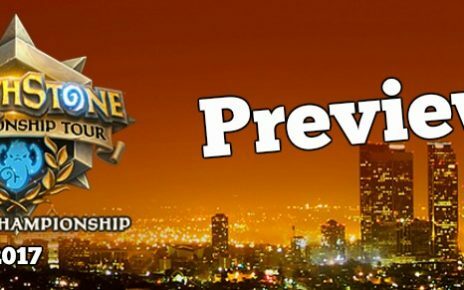 With the Winter Championships of Hearthstone just finished a week ago, the next major tournament is the Hearthstone Global Games which will start pretty soon. Now we wait for the first leg, where countries from around the world form teams to compete for a total prize pool of $300,000. Each squad will be playing in a best of 5, class vs. class matchup, where there are 9 unique classes per crew match. Captains will be submitting a decklist for the entire match, where each player has a choice of 2 heroes and 2 decks where they can play. The 9th class that has not been selected will be considered as an Ace Deck, where the Ace Player has an option of choosing that deck for the 5th match. During the First Leg, the 48 National Teams will be grouped in 8 divisions which will consists of 6 crews per section. They will be playing an online single round robin format, where the top 3 National squads in each bunch will advance to the second stage. The 24 teams who does not advance will get a $4,000 prize for participating. The 48 National crews come from 3 Hearthstone Regions, mainly Asia-Pacific, Americas and Europe. This event is full of star studded and elite players from their respective regions. Asia-Pacific has the likes of OmegaZero and LovelyChook from China. Yulsic from Hong Kong. GundamFlame and b787 from Japan, Gilgamesh from Malaysia, and of course CaraCute from the Philippines. Go Philippines!!! Americas have Cydonia, Hotform and APXVoiD from Canada. Macheen and Saitama from Peru. HotMEOWTH, Firebat and the famous Amnesiac for the United States. And let’s not forget the powerhouse which is Europe, where most of the superstars come from. Russia have the current Hearthstone World Champion, Pavel as captain. He will play alongside with ShtanUdachi, who just won the Hearthstone Winter Championships in Bahamas resently, and also SilverName, a high ranking ladder player. Other players from the region include GreenSheep from the UK. DrHippi, Nierea and Kolento from Ukraine. Bozo and Pecca from Switzerland. RDU and MooDy from Romania. Former World Champion, ThijsNL for Netherlands. And last but not the least, the German legend, Lifecoach. Group A has China, Brazil, Sweden, Bulgaria, Switzerland, and Indonesia. I see the Chinese dominating this lineup, with Sweden and Switzerland joining them in the top 3. Group B has United States, United Kingdom, Netherlands, Romania, Thailand, and Peru. This is a hard lineup, with a few of the big names in my list. Netherlands would certainly top this list. Romania, United States, and United Kingdom will be fighting for the second and 3rd place, which would be exciting to see. Group C has the powerhouse Russia, Spain, Australia, Austria, Argentina and New Zealand. This part will most likely be dominated by the EU squads, with Russia taking the top spot comfortably, Spain going second and Austria in third. Group D is South Korea, Greece, Hong Kong, Hungary, Portugal, and Slovakia. The Asian teams would likely get 2 of the 3 top spots but I could be wrong. South Korea has a strong roster and I’m predicting that they will take the top spot, with Hong Kong taking third. Group E has Japan, Italy, Finland, Norway, Chile, and Israel. Japan, with GundamFlame and b787 should win here comfortably, with teams from Finland and Norway coming in second and third. Group F has France, Canada, Denmark, Belgium, Kazakhstan, and Malaysia. Canada should win the opening stage easily. Coming close to second and third would be Belgium and Malaysia. Group G has Taiwan, Poland, Singapore, Turkey, Vietnam, and Mexico. Another Asian heavy team, most likely winner of this pick would be Taiwan. Coming in second would be Poland. Third would be a battle between Mexico and Turkey. Both squads have strong players. Group H has Germany, Ukraine, Czech Republic, Belarus, Croatia, and Philippines. As much as I would like to see the Philippines advance, it is gonna be a tough draw. This section is considered as the Group of Death, with teams from the EU having very good players. Neirea from Ukraine and Lifecoach from Germany. Ukraine will win this battle, with Germany coming to a close second and Czech Republic in third. I can only hope RNGesus favors CaraCute from the Philippines and take the coveted place in the Top 3. 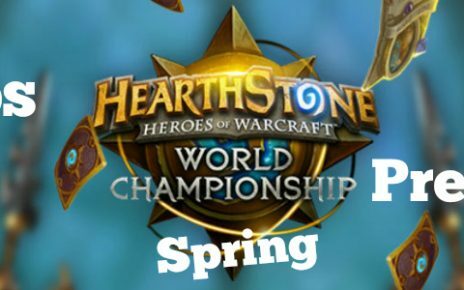 Check out our Hearthstone betting article if you want to know more information and tips how to place profitable bets. Hearthstone just released a new expansion, Journey to Un’Goro 6th of April, which coincides with the new year, Year of the Mammoth. With this new year, cards from the adventures, Blackrock Mountain and League of Explorers will be rolling out of the current meta. Cards from the expansion, The Grand Tournament will be rolling out as well. Some classic cards were also included in the “Hall of Fame”, which will only be playable in the Wild Format. These are the classic cards like Conceal, Ragnaros the Firelord, Azure Drake, Sylvanas Windrunner, Power Overwhelming and Ice Lance. This signifies a major change in the meta game, and we will be seeing a lot of deck and play style changes from the Global Games tournament. Renolock, Ice Mages and Dragon Priests will be considerably weaker since most of the cards, which is the main component of these decks, will be unusable in the standard format. Miracle Rogues as well will be somewhat off, with Conceal being a main card for the deck. Will we be seeing some new cards from the Un’Goro expansion making big waves in this tournament? I certainly hope so! There are quite a few cards that will most likely see the action in this tournament. Regardless of the current changes, we will be seeing these elite players adapting to the new meta and showcase their deck building talents. ShtanUdachi, is a genius deck builder, with 11,000+ wins in the Arena. We will be seeing a lot of EU teams winning their divisions respectively, with contenders from China, Japan, Canada, United States and South Korea as well. 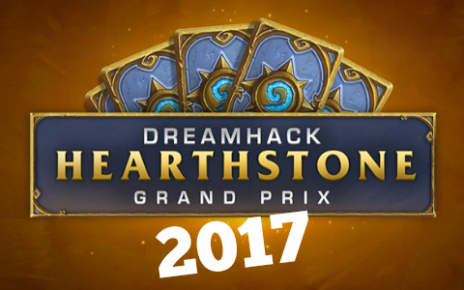 Hope that my Hearthstone Global Games betting predictions will help you to make some money. Stay tuned for the future articles! Good luck!